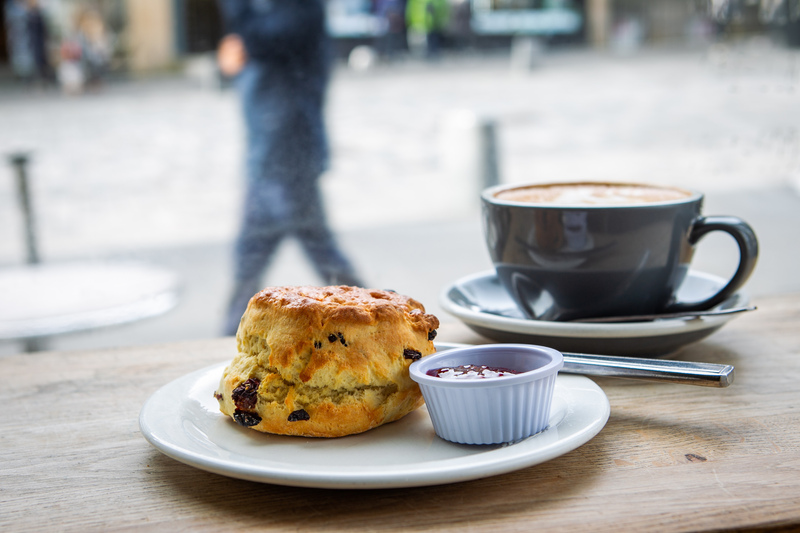 Scone Spy: Blink and you’ll miss Edinburgh’s hidden little gem, Castello Coffee Co.
IT’S often said the best things come in small packages. 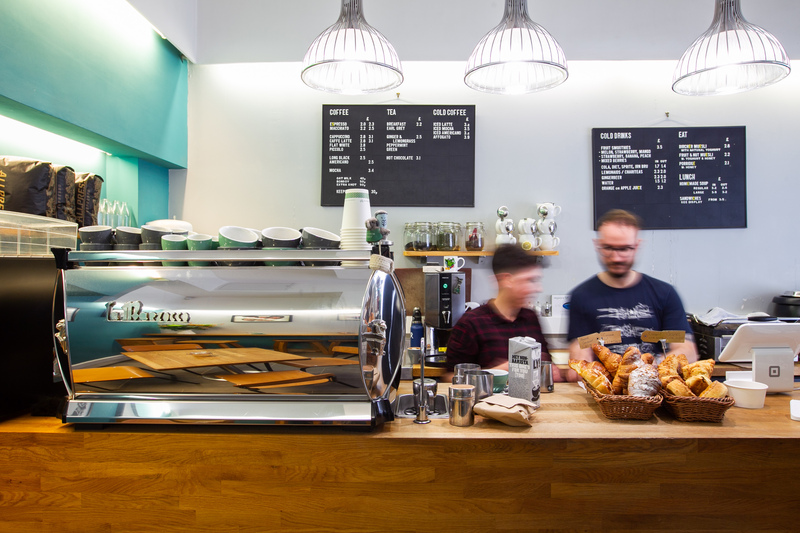 Situated in the heart of Edinburgh city centre, Castello Coffee Co. is fast becoming one of the best barista bars in town. But blink and you could miss this hidden little gem. Thankfully, my eyes are wide open on this visit to the capital and I spy the word “scones” scribbled on the window straight away. Hey, they don’t call me Scone Spy for nothing! On a warmer day it would be lovely to soak up the sun – and the amazing view of Edinburgh Castle – from Castello’s outdoor terrace, but it’s a blustery autumn day so I seek shelter inside. 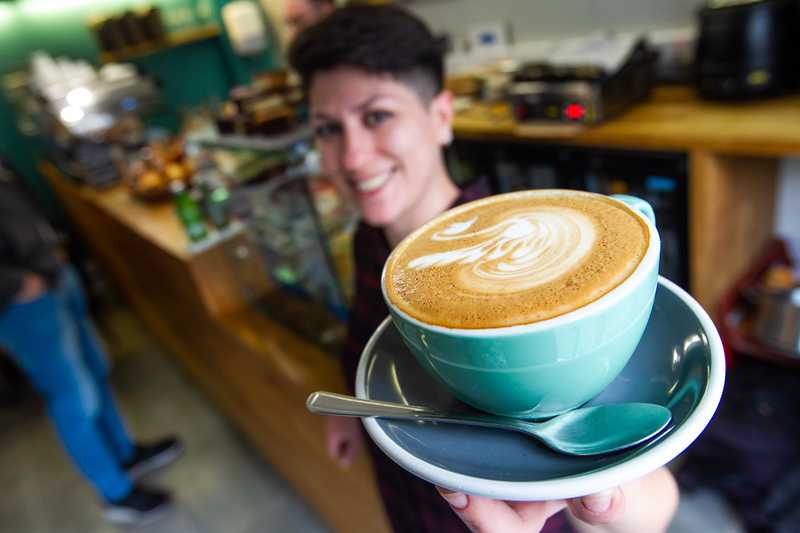 It’s small – on par with the average living room – but busy, which is always a good sign. The few tables are full but there are a couple of empty stools at the benches lining the room, so I pull up a pew at the window. The perfect spot for my favourite hobby…people-watching! As I peel off my coat, the first thing I notice is the smell. The faint aroma of freshly brewed coffee fills the air. The next thing that catches my attention is just how tranquil it is. From the calming, teal-painted walls to the dreamy music in the background, it’s a quiet little haven and the perfect place to have a moment to yourself, away from the hustle and bustle of the city. 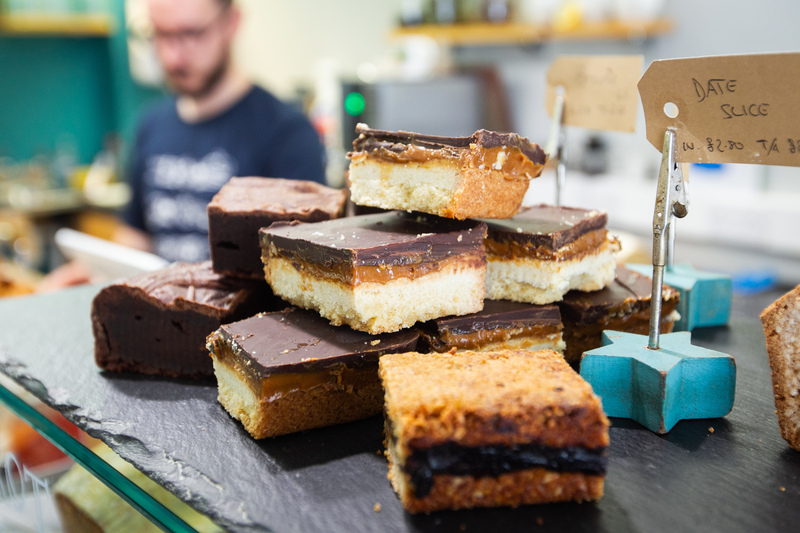 Having a browse through the menu, I notice everything is fresh and homemade…from the soup and sandwiches to the all-important scones and, as you know by now, that’s always a big tick in my book. You just cannot beat a warm scone, straight from the oven. It’s the food dreams are made of! But first, I need something savoury to fill the void in my rumbling tum. The soup being served to other tables is giving me food envy. A huge bowl of it with a couple of doorstep-thick slices of bread on the side. Delicious. But worried it would be so filling there wouldn’t be any room left for a scone, I opt for a croissant with ham and cheese. It’s nice and light and tasty. Then it’s time for the pièce de résistance…the scone. Today, I go for a fruit one, smothered in butter and jam. And I have to say it’s up there with the best. It goes down incredibly well with a steaming hot latte on the side. 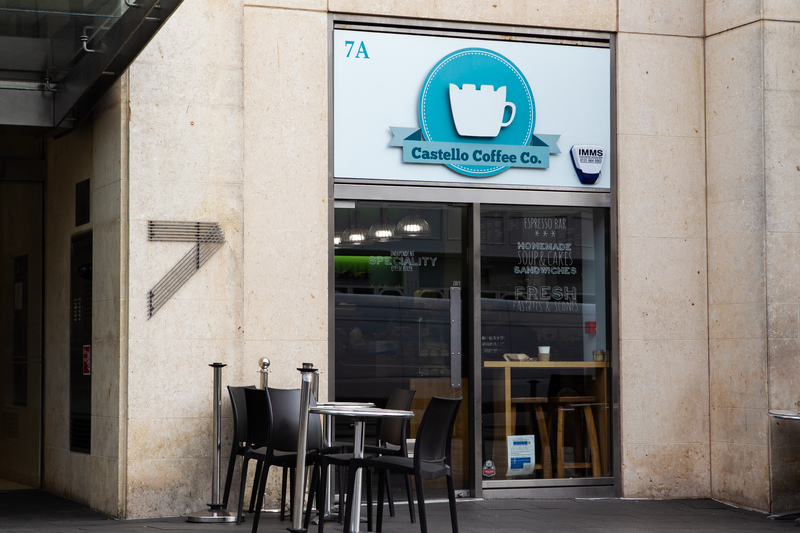 By the time I leave Castello Coffee Co., I have to loosen my belt a notch. It seems while this little joint is keeping everything compact, my waistline may be increasing from scoffing one too many scones!